Successfully saved Caramel Macchiato Banana Bread to your Calendar. You can also save the ingredients to your Grocery List. 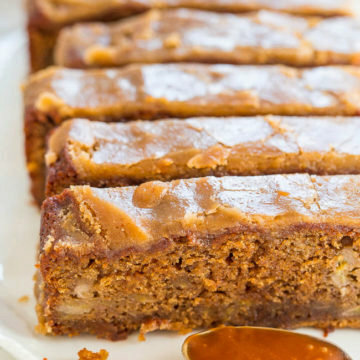 Caramel Macchiato Banana Bread – Banana bread that tastes like a caramel macchiato!! Soft, tender, infused with salted CARAMEL and topped with a brown sugar glaze!! EASY and IRRESISTIBLE! !